Following a 2013 season that saw the program’s 10th consecutive NCAA Regional appearance, the No. 19/18 Louisville Cardinals top the 2014 American Athletic Conference Softball Preseason Coaches’ Poll, as selected by the conference’s eight head coaches. Louisville received six of seven possible first place votes for 48 total points to take the honor. The Cardinals are coming off an impressive 2013 season, which saw the program post a 47-13 overall record and an 18-4 conference mark in the former Big East. 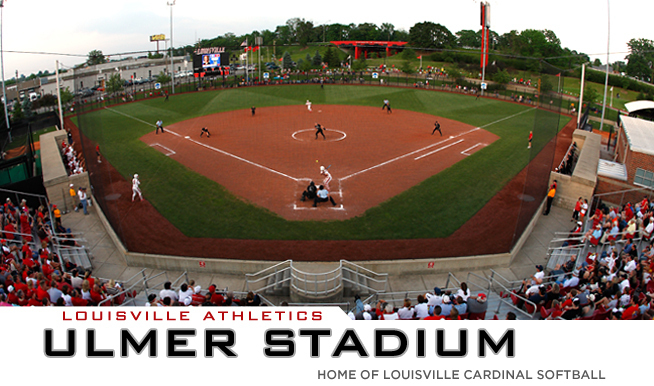 Despite finishing third in the Big East in the regular season and falling to eventual champion USF in the Big East Championship semifinals, Louisville earned an at-large selection to the 2013 NCAA Tournament and home field advantage in the Regional round. The 2014 Cardinal squad will feature eight letterwinners and six starters returning, including senior and 2013 NFCA Second Team All-American second baseman Katie Keller. Four other seniors and Big East award winners, pitchers Rachel LeCoq and Caralisa Connell, outfielder Hannah Kiyohara and catcher Maggie Ruckenbrod, will join Keller in pursuit of an 11th straight NCAA bid, all of which have come under 14th-year head coach Sandy Pearsall. No. 25/23 USF took the second-place slot in the Preseason Poll, picking up one first place vote and 44 overall points. The reigning Big East Champions, the Bulls earned their first-ever conference championship last season and advanced to their second-straight NCAA Tournament, which marked the 11th appearance in program history. Head coach Ken Eriksen became the all-time winningest coach in any sport in USF history last season, leading his Bulls to a 45-16 record (18-3 Big East). USF has a wealth of talent returning for 2014, including NFCA Third Team All-American pitcher Sara Nevins, who posted a 1.20 ERA last season. 2013’s top hitter, Kourtney Salvarola, and NFCA All-Regional selection Stephanie Medina will anchor USF as seniors at shortstop and first base, respectively. Taking third with 37 points was Houston, which enters The American from Conference USA. The Cougars earned a third-straight NCAA Regional bid last year after going 41-20 on the season (19-5 C-USA) and advancing to the C-USA Championship final. Senior catcher Haley Outon was named 2013’s C-USA Player of the Year upon hitting .351 with 62 RBI and 16 homeruns, surpassing 60 RBI and 16 HR for the second-consecutive season. Joining Outon as key returnees are her twin sister, pitcher Diedre Outon, and sophomore outfielder Katie St. Pierre, who will look to lead the Cougars to a program-best fourth-straight NCAA Tournament bid under head coach Kyla Holas. Also entering The American from Conference USA, UCF earned the fourth-place spot with 29 points. The Knights field a young lineup in 2014, with no seniors, but return all five of their top hitters and both top pitchers from last season (29-25 overall, 10-14 C-USA). The squad’s four juniors, third baseman Farrah Sullivan, shortstop Kahley Novak, outfielder Maddy Schroeder and ace pitcher Mackenzie Audas, will anchor the lineup, along with 2013 Conference USA All-Rookie selections Shelby Turnier and Taylor Wagner. Rutgers was tabbed fifth in the poll, earning 23 points. Head coach Jay Nelson will present a program on the rise, with six starters and 11 letterwinners returning for the Scarlet Knights’ American Athletic Conference campaign. Leading the lineup on the batting end is senior outfielder Loren Williams, who batted .315 and led Rutgers in six offensive categories last season. Joining Williams will be classmate and first baseman Alexis Durando as well as the Scarlet Knights’ top two pitchers, junior Alyssa Landrith and sophomore Dresden Maddox. Tying for the sixth spot with 15 points apiece were UConn and Memphis. The Huskies will look to improve on a 26-27 (8-14 Big East) record from 2013 in head coach Karen Mullins’ 31st season at the helm in Storrs. Despite losing several of last year’s top performers, UConn will return four seniors, including outfielder/third baseman Maddy Schiappa and pitchers Lauren Duggan and Katelyn Callahan. The Memphis Tigers will look to up their win total for the third-straight season under head coach Natalie Poole. Last season, Memphis went 24-36, with an 8-16 record in Conference USA, but boast a very deep lineup entering The American. Fourteen letterwinners and seven starters return, including sophomore outfielder and C-USA All-Rookie selection Hannah Harrell, senior ace Ellen Roberts, senior outfielder Ijiah Hargrove and senior infielder Kelly Braman. Temple wraps up the poll with 13 points. The Owls return two of the nation’s top offensive powers from 2013. Senior catcher Stephanie Pasquale and shortstop Sarah Prezioso will look to continue last season’s success after hitting .465 and .427, respectively. Pasquale earned NFCA Third Team All-American and Atlantic 10 Player of the Year honors, and also led Division I with 80 RBIs in 2013. The conference’s teams all begin play within the next three weeks, with the eight teams looking toward the inaugural American Athletic Conference Softball Championship. Held at the Cougar Softball Field on the campus of the University of Houston May 8-10, the Championship will take the form of a single-elimination bracket. The quarterfinal and semifinal matchups will all be broadcast live on The American Digital Network, with the final featured live on ESPNEWS.